Digital dentistry is rapidly evolving, offering us numerous ways to improve the level of patient care that we provide. One of the resources available for streamlined communication between our offices is Dental eShare, a records management system that allows us to share information in a manner that is HIPAA compliant, protecting the security and confidentiality of our patient’s health information. Dental eShare provides many benefits, including the exchange of large documents in real time, a live collaborating tool for treatment planning, multiple image upload, written order extraction form, and tracking of all communications between offices with complete audit trails. Dental eShare integrates directly with most major dental software systems, including Dentrix, Dexis, Eaglesoft, OrthoTrac, Schick, SoftDent/KDI, and WinOMS. 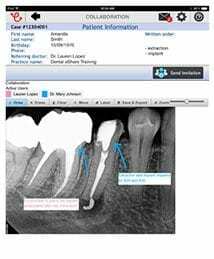 We are making this service available to our referral colleagues at no cost and we ask that all x-ray images, documents, and notes be sent to us through Dental eShare.com if possible. 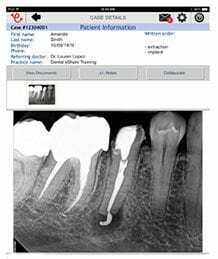 If you wish to join our network referral group via Dental eShare.com, please complete the form below. An invitation will be e-mailed directly to you shortly. For assistance setting up your account, please e-mail your questions or concerns to support@dentaleshare.com or call 1-866-846-8337. If you are not interested in joining our Dental eShare network at this time, we still accept referral forms. Simply print and complete your referral form here. If you are already a part of our Dental eShare network, you may log in by clicking on the image below.